Yay!! It has been a year since I started this blog and well I can say is THANK YOU!!! Well, I am back from vacay after spending time with my family and friends. I was running on empty, but now I feel completely rejuvenated and ready to conquer these next hurdles to successfully close out 2010. A little time away from the rigorous routine and good people will always feed the soul. It is funny, I may have missed some of the moments if I wasn’t told the first day I was home visiting with my family to “put that phone down.” In D.C. my blackberry lives within the security and comfort of my hands and I am often tweeting my experiences as they happen like most of my peers. It is also how my friends from anywhere in the world connect instantly and interactively with other mutual friends. It is genius. However, back in the Deep South, prolonged phone use in the presence of others is still, even in 2010, considered rude. At first, I was prepared to defend my stance on how the world is now a hybrid. I have been well trained to multitask between my present reality and my virtual networks. But I knew my case would fall on deaf ears and instead took a moment to understand their point of view. Reluctantly, I placed my phone in my purse which is where it would remain for the majority of the trip. While my phone was somewhere in the bottom of my purse, I had time to really enjoy the people I came to spend time with in the first place. I was able to take in entire conversations and laugh hard without having to pause my outbursts to inform my virtual network so they could laugh too. Usually, I would miss the next moment in my reality to respond the virtual reactions to my initial post about my reality. Then I have to ask what I missed in my reality while I was interacting virtually, and it is never as funny as hearing it in real time. I had forgot that laughing so hard and thoroughly bring tears to your eyes and eventually make your stomach ache…and your eyes sparkle and smile brighter. So that is what I did. I took it all in and lived in the moment in the presence of those who I was physically around. And believe it or not, the world did not end. I know, it’s crazy. I found you at the tender age of 24. Despite all the hair I have, you decided to make your debut at the very front of my head, off to side, in perfect view whenever I rock my beloved ponytails. I am not going to lie, at first, I hated you. My life was not particularly stressful at the time so I didn’t understand why you were there and what purpose you sought to serve on my very young head. My boyfriend at the time began calling me Storm, and that made me sadder. I knew plucking you would only cause you to bring your homies next time, so I cut you down as close to the scalp as I could to deny your existence. But you and your damn resiliency just kept growing back. I don’t remember when I decided to just let you grow. I decided you were a gift from wisdom and no longer a curse from stress. That is until I recently found 7 more of you. Now, I am back to blaspheming your existence. These new gray hairs are clustered at the crown of my head. I am not even 30 yet. Obama is graying but he is the President of the United States. I preside over nothing but my own existence and that is pretty stress free. So maybe I am learning a few lessons. Slowly. My aunt told me, “The same lessons come around until we learn them.” And maybe per lesson learned I receive these silver strands to remind me that I am getting older and I do know better. If this theory is correct I have learned 8 lessons to date, which seems about right. So I begin to think on the lessons these silver strands represent. 1) I cannot be everything to everybody. In my youth, I wanted to the perfect person to everybody. So in school, I was the perfect student, after school I wanted to fit in with neighborhood kids. I wanted to be the perfect girlfriend, so forth and so on. Oddly enough, I never wanted to be the perfect child to my parents. Anyway, I got to the point, where I stopped trying to wear all of these different hats and just try to be my most authentic self. And I learned that being authentic requires fewer apologies than trying to be perfect. I don’t like apologizing, which brings me to lesson # 2. 2) Sometimes you will have to apologize even when you are right. I loathe this lesson. But I learned that there is a distinct difference in being right and going about being right the right way. The latter requires more constraint and discipline that I typically like to exercise. 3) Despite my efforts, I did grow up to be like my parents. As a teenager, I promised I wouldn’t that I would be completely different from my parents. And in some ways I am. In some aspects, I have fallen short of who they were. They were homeowners by age of 22. I am not. And other ways, I am a continuation of their dreams. But the combination of their spirit and core is by all means who I have become. And I am finally at a point where I am okay with that. 4) My cousins made me cool. I am an only child, and my parents were strict so I could have very easily ended up only book smart and lacking any street smarts. That would have been a tragedy. But my cousins, particularly on my father’s side, provided me with a balance that has contributed greatly to my persona and my successes. Though I was trained in ballet, they taught me how to do the snake, wop it out, and to put a little more umph in the electric side. They taught me how to stand up for myself. They taught me how to curse, or maybe that was our Grandmother… But most important, they taught me what it means to be loyal and how to cheer the loudest to make sure the person feels your love. 5) To Love on Their Standard. The saying, “treat others the way you want to be treated” is flawed. To really love is learning to look beyond how you feel they should be treated them how they want to be treated. Just because one man likes one thing doesn’t translate that the next man will like it the same. Or how they want to be treated may evolve; what makes my mother happy now is very different that what made her happy when she was younger. So in our love, we must be intuitive and listen to how a person wishes to be loved. 6) The truth cannot be eluded, so wait for it. I used to want all the truth upfront and instantly. I would damage friendships and relationships because I wanted to know any and all possible deceits so I could adjust my interactions with them accordingly. 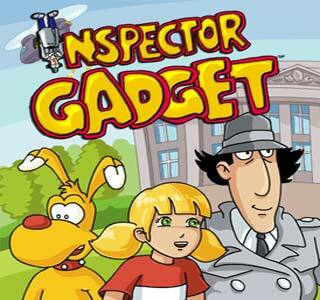 As I got older, I know longer want to be Inspector Gadget and I have learned the truth will come out as soon as it is ready to. I just have to wait for it. And in this waiting time, I have learned to assess those connections with those people and their value in my life. 7) Don’t panic. I was never really one to panic easily, but it is even less so now. Everything will work out. God doesn’t need my help, so I quit offering it. God can also work around me, but then I would be a waste. I prefer to be useful, and I know that everything and everybody has a purpose all working toward a greater purpose. There is usually an email forward that goes out around the anniversary of September 11th and it tells of all the these incidents that happened to people that were supposed to be in the World Trade Center or on one of the planes that for whatever reason they were running late or missed the flight. One was a story of a man that spilled coffee on his clothes and went back to change. Another was a story of a lady with a sick child and so she called out. Things that typically frustrate us but that day saved them. So I don’t mind delays anymore because I don’t know what I am being protected from or what is being prepared for me in my delay. 8) Don’t present a problem without a possible solution. I don’t know where I heard this. But it is genius. It reduces complaining dramatically. And then you have one of two options, be silent or become involved in your own progression. I know some are saying, well it is not my problem, but if you take the time to help others you by default will become better than you were.